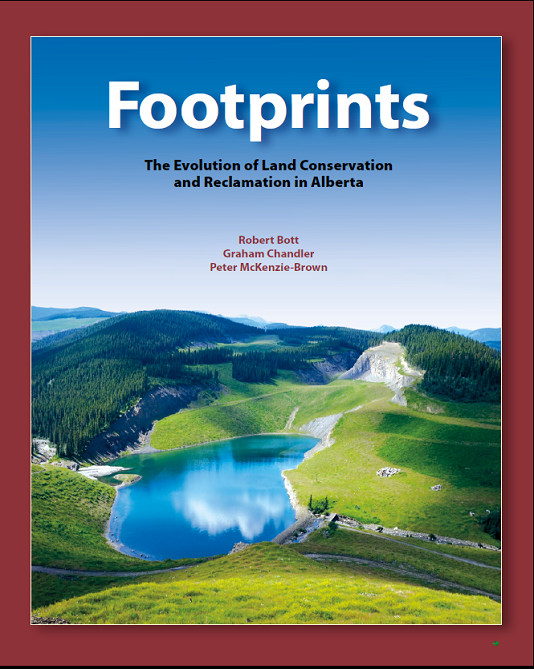 My co-authors for the book Footprints: The Evolution of Land Conservation and Reclamation in Alberta were Bob Bott and Graham Chandler. Many experts were on the steering committee and among those we interviewed. Key experts included Larry Brocke, Bruce Patterson, Chris Powter, and Fred Thiessen, who were leaders in land reclamation within the province. The province and 31 corporations supported the project, with contributions of heroic proportions from Charlene Dobmeier of Kingsley Publishing. We interviewed many people and did further research at the Glenbow and Provincial Archives, and in the field. The book deals with the reclamation of seismic lines, roads, gravel pits, forests, mines, energy facilities, pipelines, quarries, sulphur blocks, peat, water lines, gas plants and industrial and recreational facilities. The graphic used to illustrate the book cover shows a reclaimed coal mine. On the back is a photo of reclamation at a diamond mine. Let me begin with the theory: temporary, non-renewable land use should not diminish the inherent, sustainable, renewable value of the land. Land is natural capital. We need to live on the interest and preserve the principal. Everything I say in the following comments follows from that key idea. Alberta’s petroleum industry began to develop a century ago, but only in the last 54 years has the sector developed and complied with standardized reclamation practices. Part of the reason the regulations took so long to fully cover the industry is that – especially since the 1980s – oil companies have developed radically new underground techniques to produce heavy oil, bitumen, tight oil and shale gas. After the 1947 Leduc discovery, energy development grew rapidly, and one result was that conflict arose between a gung-ho petroleum industry and an agricultural community concerned about encroachments on its landholdings. Drilling an oil well required the clearing of crop land, building roads, transportation of drilling equipment, digging a sump pit, and the erection of the derrick, coupled with the arrival of the drilling crew. Farmers complained, and the province responded by passing the 1947 Right of Entry Arbitration Act. This legislation provided the petroleum industry with access to surface rights from recalcitrant farmers. A year after that legislation received assent, the agricultural community got a glimpse of how bad things can get. In March 1948, drillers on the Atlantic Leduc #3 well lost mud circulation in the top of the reef, and the well blew wild. Drilling had barely punched into the main producing reservoir a mile below the surface when a mighty surge of pressure shot the drilling mud up through the pipe and 150 feet into the air, wrote historian Earle Gray. "As the ground shook and a high-pitched roar issued from the well, the mud was followed by a great, dirty plume of oil and gas that splattered the snow-covered ground. Drillers pumped several tons of drilling mud down the hole, and after thirty-eight hours the wild flow was sealed off, but not for long. Some 2,800 feet below the surface, the drill pipe had broken off, and through this break the pressure of the reservoir forced oil and gas into shallower formations. As the pressure built up, the oil and gas were forced to the surface through crevices and cracks. Geysers of mud, oil, and gas spouted out of the ground in hundreds of craters over a ten-acre area around the well." It took six months, two relief wells and the injection of 700,000 barrels of river water to bring the well under control. Cleanup efforts recovered almost 1.4 million barrels of oil in a series of ditches and gathering pools. At one point the well caught fire, and the crew worked frantically for 59 hours to snuff out the blaze. One of the worst blowouts in Alberta’s history, Atlantic Leduc was only one of many. 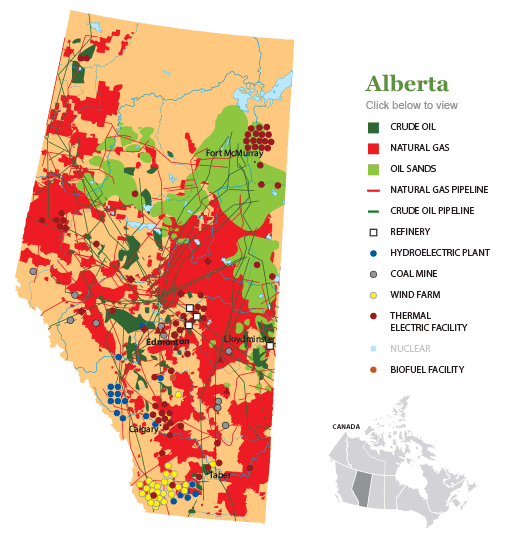 During the last century, blowouts and other industrial challenges have had ever-greater impacts on the land in Alberta – especially as exploration and development shifted northward. 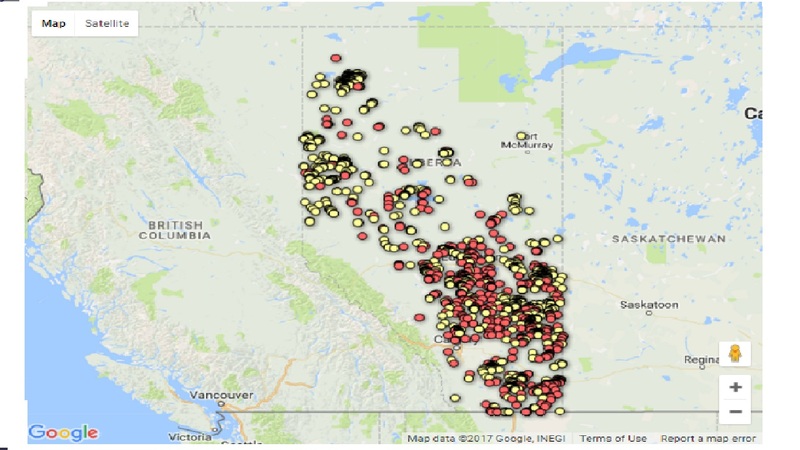 More than 100,000 such wells have been depleted since Alberta’s oil boom began with 1947, and production of conventional oil is falling throughout Alberta’s oilfields as older wells become exhausted. By year-end 2013, the petroleum industry had drilled more than 430,000 wells in Alberta, including 55,000 – mostly long, horizontal wells – for in-situ bitumen production in northern oil sands regions. This high level of activity and the ups and down of the oil and gas market meant that land disturbances rocketed past reclamation efforts. What this means, of course, is that you can’t just drill a well and walk away. You have to reclaim. Around Alberta the importance of reclamation grew ever-deeper roots – at least in part, because of the unruly growth in the petroleum industry itself. There were well sites everywhere. The oil sector was interrupting farming, damaging the land. And especially in the early days, producers weren’t cleaning up the mess. Landowners would ask, “How come all they have to do when they're done on a wellsite on my place is come in, take the wellhead out, take away the garbage, and they're done? I can't farm this!” That understandable sentiment was the trigger for today’s land reclamation regulations. To give you a sense of perspective, the petroleum industry has drilled more than 430,000 wells in Alberta. Of those, perhaps 60,000 are neither producing nor permanently sealed, and could lead to hydrocarbon or saltwater spills. Most spills don’t migrate far from the hole and are easy to remediate because they biodegrade or can be treated chemically. The final cleanup of a wellsite begins with "abandonment" (the technical decommissioning of the well). Remediation, if necessary, comes next, followed by reclamation activities such as topsoil replacement, contouring, and establishment of vegetation. “Orphan wells” are those operated by companies that become insolvent. If at time of exploration a well is “dry,” it needs to be abandoned and the site reclaimed. If both oil and gas are found, the oil will likely be depleted first, since pressure from the gas cap helps drive oil to the surface. When the oil is depleted, most of the wells in the field are shut in, abandoned, and reclaimed. In general, operators need fewer wells to produce natural gas, which flows more easily to the surface than oil. When the gas cap is gone, the operator abandons and reclaims what’s left. Before I continue, let me address a key question: what must land reclamation do? It must preserve the land’s topography – its contours and structure; it must preserve the life-sustaining nature of the soil, which is mostly in the upper 30 centimetres. It must be concerned about the land’s ability to retain and transport water. And finally, it must preserve ecosystems – the creatures that live in and on the soil. 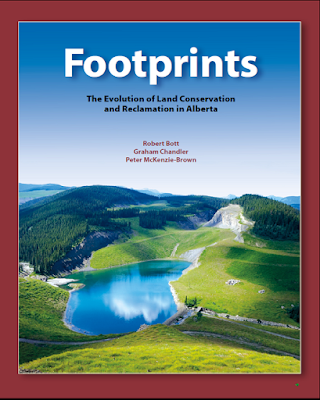 Land reclamation is a surrogate for the way environmental concern developed within Alberta. Roughly speaking, it evolved along a continuum. At one extreme of this continuum is restoration – to restore a piece of land exactly as it was. If a parcel of land has been used for extractive operations, complete restoration is virtually impossible, so the next level is reclamation: returning the land to a specific standard for reuse. Next is rehabilitation, which involves bringing land back to a condition which allows it to have at least a single use. Remediation involves improving damaged or polluted land. Different kinds of energy-related activities developed in the province, ultimately enabling the industry to do larger mining operations, to develop sophisticated in-situ facilities, and to frack. 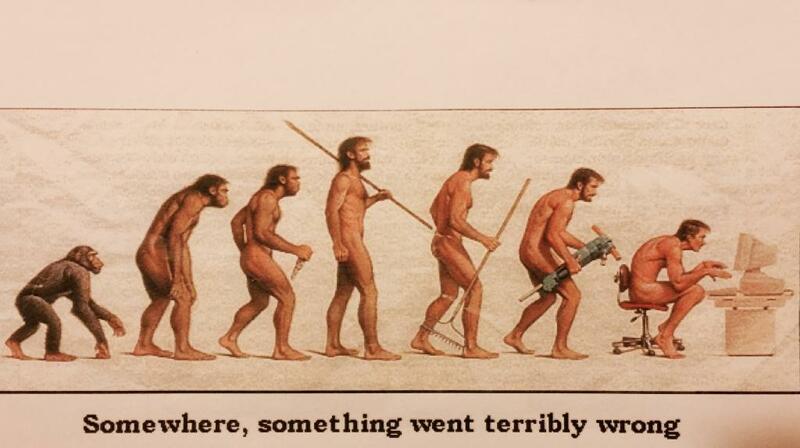 Regulations evolved with the changing industry. Alberta’s land reclamation practices have developed methodically. Through the 1950s, oilfield practice was simply intended to keep a site clean and safe. This changed in the 1960s, when an increasingly activist province focused on making sure that its petroleum industry kept its exploration and production sites safe and stable. In 1963 the Surface Reclamation Act covered all “Surveyed Lands” in Alberta and a number of coal mines. It established a Land Conservation and Reclamation Council, which was the first to recognize the value of cross-ministry integration for policy development and decision-making. A 1969 amendment allowed the provincial government to issue reclamation orders and certificates for public lands not covered by the Surface Reclamation Act. In the 1970s, industry and government worked together to create greener and more stable oil and gas sites. Key government initiatives included the 1973 Land Surface Conservation and Reclamation Act and the creation of a Land Reclamation Division within the province’s Department of the Environment. This legislation set standards for conditioning, maintaining and reclaiming the surface of the land. A decade on, the importance of soil handling and vegetation emerged. The province released minimum reclamation standards in 1980, and updated them two years later. The province also developed the concept of equivalent land capability. Land didn’t need to be returned to its original use, but to something similar or a desired alternative use. A 1983 amendment also required remediation of polluted sites. A key component of the 1983 directive was to establish the need to salvage and replace topsoil. In 1993 the Environmental Protection and Enhancement Act came into force, consolidating and replacing earlier environmental legislation, including the Land Surface Conservation and Reclamation Act. These measures beefed up requirements for reclamation plans, soil decompaction, native vegetation and orphan wells. At the same time, the province released the first version of its wellsite and associated facilities reclamation criteria. These were the standards industry had to meet to get certification. As the new century began, the province passed a water act and associated regulations. This was relevant for the reclamation of ponds, lakes and streams. Also, the province established detailed requirements for assessing contamination and practicing remediation. 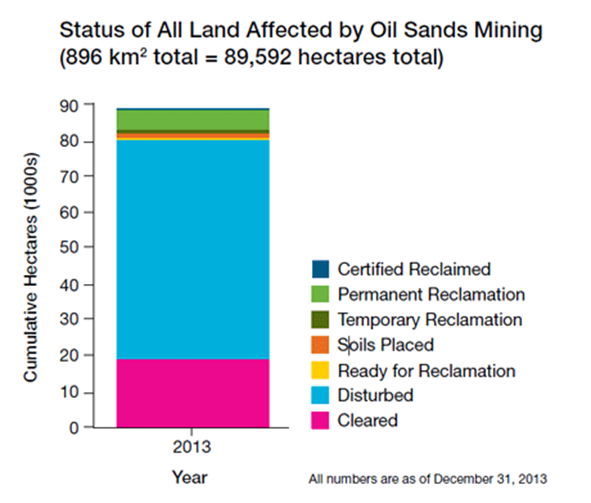 To put the oil sands in perspective, 20 per cent of their reserves are mineable. But mining takes up only 3 per cent of Alberta’s oil sands area, so mining is by far the more efficient extraction process. However, it has taken decades to develop effective ways to reclaim those mines and their associated tailings ponds. In the earliest days of oil sands mining – at Great Canadian Oil Sands (GCOS), which was the first truly commercial plant – little thought went into what to do with the sand and other materials (including water) left over after extracting the bitumen. This presented huge challenges to those later responsible for mine reclamation. That experience led to regulatory change in the early 1970s, when the Syncrude proponents made their pitch to build a new plant. As time went on, those changes accelerated. So did the technology and scale of operations. The photo shows the immensity of Shell’s state-of-the-art Jackpine mine. To appreciate the nature of the problem, consider how GCOS functioned when it started operations in 1967. 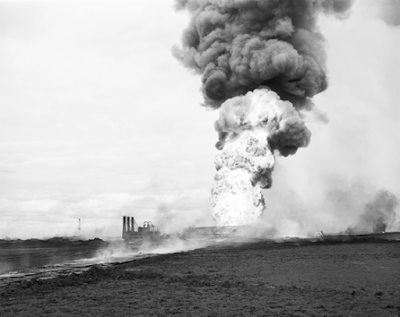 The plant employed two operations that, by disturbing the earth, had an impact upon the environment. First, the company cleared away the ground cover and overburden on top of the ore body. This material went to waste dumps beyond the mining limits. In addition, oil extraction operations released mountains of fine uniform tailings sand to a tailings dyke. Wind and water eroded both waste dumps and tailings dyke – the latter more than the former: 15-20 mph winds would generate sand storms; heavy rainstorms would erode deep gullies in the river banks. The original concept was to take tailings from oil sands production – an emulsion of clay, bitumen and other chemicals – and spill them over the escarpment into the Athabasca River where a small collector dam would hold them, releasing clean water. Unfortunately, the materials turned out not to work according to plan. Instead of effectively cleaning the water for reuse in oil sands operations, the small dyke was releasing these chemicals as an untreatable colloidal suspension into the river, and reclamation quickly became an issue. This was not only because of the lack of attention GCOS originally paid to these wastes, but because oil sand effectively expands when mined and processed. From each barrel of oil sand processed, the operator ends up with more than a barrel of sand, plus bitumen (about 12 per cent by weight), and waste water. At first, this would seem odd, but both geology and engineering have explained it. The expansion takes place because processing eliminated the compaction of the sands, which took place over geological time. The growth in these materials created reclamation challenges. For example, if the area being reclaimed was originally a wetland or fen, the reclaimed area was likely to include a mound or hill and a lake, say, but not the original habitat. 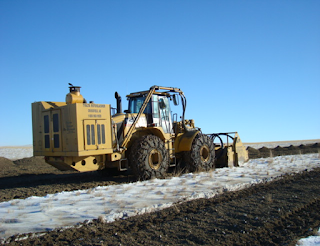 Given available compaction equipment, plus the changed chemistry of the sand being used as landfill, reclaiming a mine to its original state is difficult or impossible. The first problem operators have to deal with in oil sands reclamation is that the processed sand is essentially infertile – virtually barren of nitrogen, phosphorus and potassium, which are the three major nutrients for plants. The overburden, clay and muskeg were higher in available nutrients and, mixed with sand, would provide a suitable seedbed by reducing alkalinity and improving water percolation and moisture retention. Until mixed with clay, peat and fertilizers, it would not support the mix of boreal vegetation that existed before mining began. Early efforts to reclaim these mined areas, which began in the 1970s, would fail totally during the occasional rainless summer. Mining companies need to reclaim the land they have disturbed before mine closure. Defined in Alberta as the ‘stabilization, contouring, maintenance, conditioning or reconstruction of the surface of land,’ reclamation became an essential component of oil sands development since the 1970s. Although reclamation presented many challenges, both Suncor and Syncrude have made steps forward. The evidence? In 2008 Syncrude received a reclamation certification for a 104-hectare area known as Gateway Hill, which included wood bison habitat. In 2013, Suncor’s reclamation efforts included creating a fen, or wetland. These were both landmarks in the reclamation story. The first bitumen to be developed commercially in Alberta was through mining. The second was through in-situ development. The first field at Elk Point, on the Alberta/Saskatchewan border, was an Amoco Canada project. The project used vertical wells and resulted in a land nightmare, according to some of the people we interviewed. Gradually, industry perfected directional drilling and developed drilling pads that substantially reduced the land footprint. Reclamation of in-situ facilities poses several unique challenges in comparison to conventional oil and gas and oil sands mining. These projects tend to involve many smaller-disturbances in areas with bitumen resources too deep to be mined. Disturbances from these projects range widely in intensity, in size and in duration. Although steam-assisted gravity drainage and other approaches to in-situ oil sands production are relatively new, that segment of the industry is already massive. It stretches from Bonnyville to Fort McMurray and then west to Peace Country. An individual in-situ project starts with 3-D seismic across the landscape to identify the resource. Then you drill shallow core holes to identify where the resource is, how thick it is, and its other attributes. After deciding to put an in-situ project in play, the operator constructs a central processing facility. That could involve, for example, seven-hectare, multi-well pads. Above-ground pipelines carry steam to the wells and product back to the central processing facility, and each of those multi-well pads has a borrow pit. Borrow pits are excavations where crews can get clay, for example, for use in construction. In-situ development involves horizontal or directional drilling and steam generation and injection, and it is different from conventional oil and gas activity in another way. Before beginning operations, in-situ operators need to secure approval under the Environmental Protection and Enhancement Act. That approval has other things associated with it – environmental impact assessment, pre-disturbance assessment and so on. Wherever there’s going to be a disturbance more than one hectare in size, operators need to do a lot of pre-site work. They need to identify the soils, to help the companies properly conserve that material. They need to establish large stockpiles of topsoil and subsoil for reclamation. They need to have closure plans in place, conservation and reclamation plans. There’s a lot of planning to do, but we’re still in the infancy of these developments. We haven’t seen a lot of sites go to closure and final reclamation. How do you reclaim well pads back to a peat land or a wetland? Conventional oil and gas we’ve got a pretty good handle on. Like most surface mines, oil sands projects use progressive reclamation. While reclamation is taking place in some areas, clearing and mining are taking place in others. It is as though a slow-motion assembly line were moving across the landscape. Sometimes it is possible to move the materials (topsoil or overburden) directly from the newly cleared areas to the reclamation site. Called direct placement, this single-haul transfer saves money and minimizes degradation of topsoil. In many instances, especially in early stages of development, mines cannot avoid stockpiling large volumes of topsoil and overburden. After coal and oil sands, the first disturbances to be regulated were those that arose from pipeline construction. NOVA Corporation, which merged with TransCanada in 1998, was the leader in developing workable procedures, especially at stream crossings. The photo illustrates one of numerous pieces of heavy equipment designed specifically for stockpiling topsoil from a pipeline construction site. Having been abandoned by their owners, many wells in this province are now orphan. This has become an enormous problem. 1. Give the Energy Regulator the authority to order abandonment of wells and a method of ensuring compliance for that abandonment. 2. Provide clear public records showing transfer of ownership of a well, so records would be there for ultimate claiming. 3. Create an industry-driven and industry-funded bucket of money to deal with orphaned well sites. Supposedly, this amendment would enable the industry collectively to deal with orphaned wells. Even though operators participating in the scheme had little or no vested interest in the orphaned wells, they would contribute to the costs of reclamation. Revisions to the regulation in 2004 reflected consultation with landowners, industry and other stakeholders. Theoretically the program would ensure that oil and gas lands would be reclaimed to a productive state. 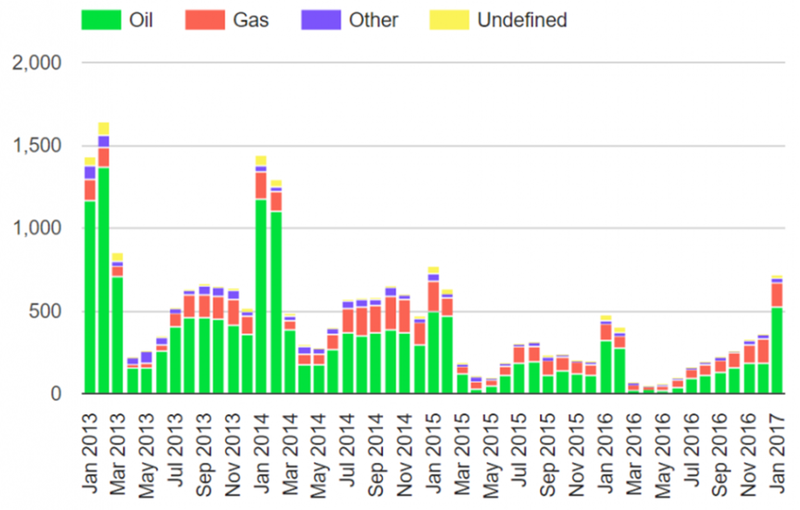 The chart of drilling in the province over the last four years shows the problem’s potential. Theoretically, at least, each well could become an orphan one day. It seemed like a simple approach to the problem, but there were many complications. For one, regulatory requirements don’t stipulate when reclamation and certification should begin. Unless there are contamination problems, there are no deadlines for reclaiming abandoned wells. Plugging, abandoning, and reclaiming a wellsite can be an expensive – from $50,000 to several million dollars per site. However, a well that has stopped producing need not be immediately plugged, abandoned, and reclaimed. To defer reclamation costs, operators suspend production, listing reclamation on their books as a liability. Those liabilities then grow and grow and grow. Landowners are often happy with this arrangement, because they want operators to continue paying rent for access roads and other production facilities. The province permits this because inactive wells often go back into production because of higher commodity prices. At the moment, there are 2,287 orphan wells in the province. About 1,600 of those need to be abandoned and 700 reclaimed. But those numbers are just the tip of the iceberg. At the beginning of this month, there were 83,000 inactive wells. Until reclaimed, those wells, too, run the risk of becoming orphans. As a result, the population of non-reclaimed, non-certified sites steadily increased. In response to concerns that these sites may never be reclaimed, with liability falling on the landowner, in 2003 the province passed legislation formalizing an orphan well program and creating the Orphan Wells Association, which manages the abandonment of orphan wells, pipelines and facilities, and reclaims associated sites. The association’s annual budget is now in the $15-16 million range, although in 2011 Alberta’s Ed Stelmach government provided a one-off grant of $30 million. As you will be aware, last week The Energy Regulator suspended operations at Lexin Resources after the company said it would not reclaim. For practical purposes, the Regulator seized the company’s 1,600 wells, pipeline segments and other facilities, which include a sour gas plant near High River. The Regulator will now work with the Orphan Well Association to decide whether to clean up or sell off the Lexin assets. Before the Lexin announcement, the Orphan Well Association had a backlog of 1,600 wells that need to be plugged and reclaimed and a further 700 that are under reclamation. Lexin wasn’t the first, but it was one of the worst. Many operators have walked away from these obligations, especially during tough economic times. According to the Energy Regulator, in 2013 some 30 per cent of the wells in Alberta were inactive. Ten years earlier the number was about 25 per cent. That change shows a developing pattern. 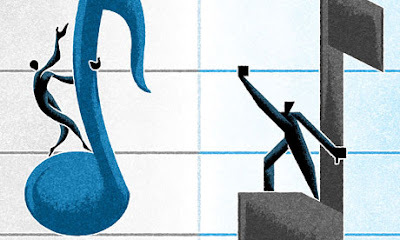 Companies are happy with the notion of turning reclamation into a function of accounting. Doing the fieldwork itself, not so much. The good corporate citizens in the province, of course, do the fieldwork. Companies like Lexin do not. Fortunately, they are in the minority. Of course, our book covers much more about petroleum- and bitumen- related reclamation in Alberta. These few remarks are barely more than an outline.